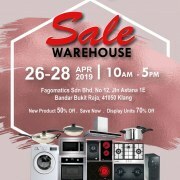 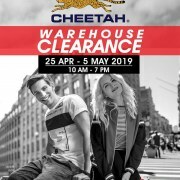 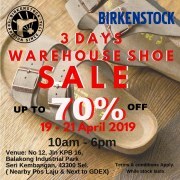 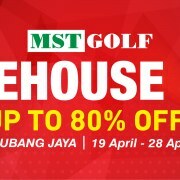 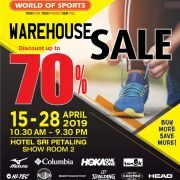 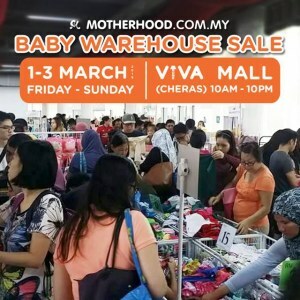 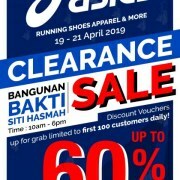 The Sogo KL warehouse clearance sale is back again with fantastic bargains & deals. 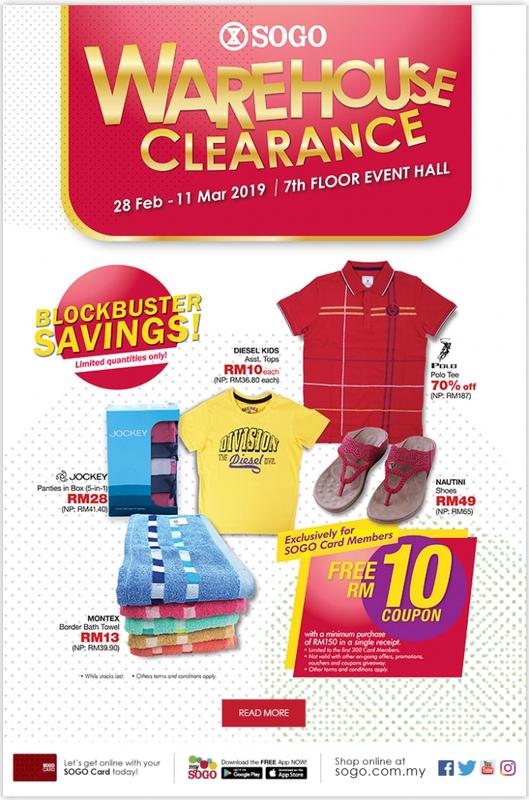 FREE RM10 Coupon with a minimum purchase of RM150 in a single receipt. 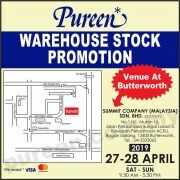 • Exclusively for SOGO Card Members. 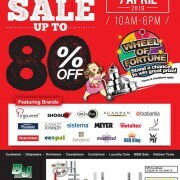 • Limited to the first 300 SOGO Card Members. 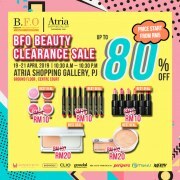 • Not valid with other on-going offers, promotions, vouchers and coupon giveaway.